Compassion started working in Kenya in 1980. Today, there are over 114,000 children registered in our programs through 392 church partners. Dear Sponsor, My name is Joel Macharia. I am the Compassion Kenya Country Director. I’m married to Sally and have three children. In my free time, I play soccer, indoor games, and read. 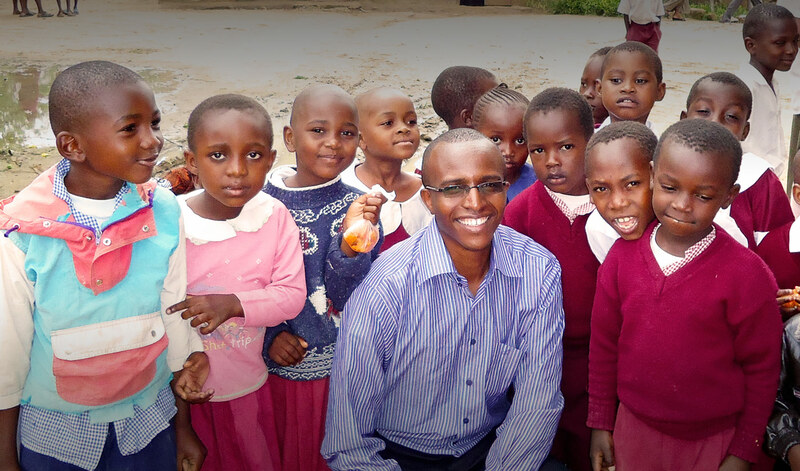 Compassion International has been working in Kenya since 1980. We are in partnership with 372 local churches, serving more than 113,000 babies, children and youth. On behalf of all sponsored children in Kenya, thank you for your support and care. 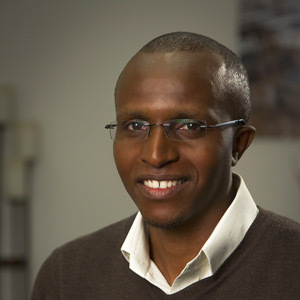 My name is Joel Macharia. I am the Compassion Kenya Country Director. I’m married to Sally and have three children. In my free time, I play soccer, indoor games, and read. Compassion International has been working in Kenya since 1980. We are in partnership with 372 local churches, serving more than 113,000 babies, children and youth. On behalf of all sponsored children in Kenya, thank you for your support and care. As a result of your support, children are enabled to attend school, learn to make good health choices, receive medical attention, find a safe place to play, build healthy relationships, gain essential life skills, discover and build their talents, and interact with the life-transforming message of the Bible. At a church in their community, they find caring adults who encourage, support and guide them. We make investment to provide access to safe drinking water, sanitation, solar lighting and treated mosquito bed nets among other initiatives. Children living in poverty are often at the risk of neglect, emotional, physical and other forms of abuse, including early marriages and female circumcision. We work to prevent and deal with abuse through training and establishing robust processes. About 70 per cent of registered children live in rural communities that largely depend on small-scale subsistence farming and keeping animals, while 30 per cent largely live in urban slums. 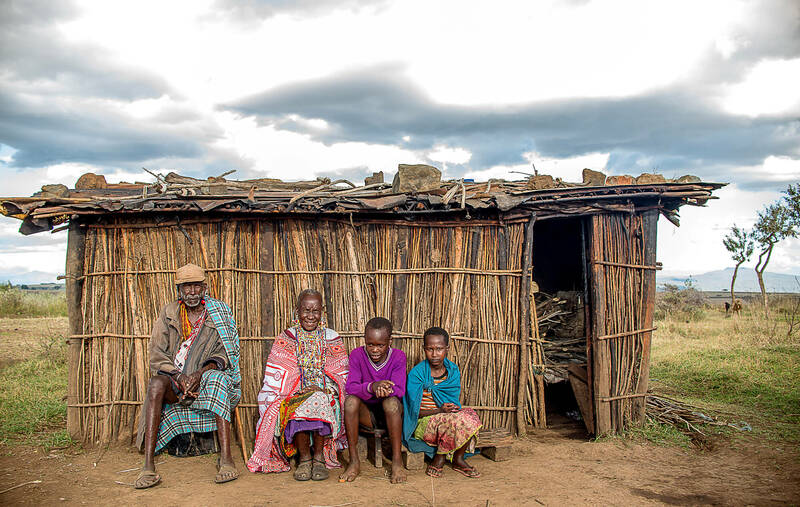 In rural areas, families may struggle to find enough food and water when rains fail. Among the urban poor, people live with the indignity of poor or nonexistent sanitation, poor housing, high unemployment, predatory pricing of essential commodities, violence and so on. Families are much more dysfunctional and people too absorbed in their own daily struggles to notice or care for others. In Kenya, we have both public and private schools and health services. Due to cost, the children we serve attend public schools and get health services from public facilities. Public schools tend to have fewer teachers than needed, inadequate learning materials, inadequate or poorly maintained infrastructure and high teachers’ absenteeism. As part of the Compassion program, children receive learning materials, desks, school uniforms, and remedial learning. We continue to work at changing people’s mindset from thinking like a victim to an empowered Christian worldview. Discipleship is at the heart of forming this worldview. We want people to envision a better future and take the necessary action to overcome the odds that hold them. Recently, we encountered a single mum who had lost both hands from a past abusive marriage. She and her child were in great distress. At the time of registration in a local church centre, the child was malnourished and sick. She received needed nutrition and medical support and is now showing remarkable improvement. The mum was connected to a local women’s support group where she has received needed support, including free legal services. Local churches do much more for their communities in addition to caring for children and families in need. Churches are an important centre of community life, including running discipleship programs for different groups, learning centres for improving economic prospects, and a venue for government officials when they meet with the local community. Some churches run their own schools, health clinics and vocational training. We have facilitated church leaders to form fellowships and collaborate to address issues affecting their communities. When a child gets a sponsor, it is very special and cause for celebration. It’s an emotional moment that deeply affirms the child as unique and valued. They long to connect with the sponsor in some way to express gratitude and build the relationship. 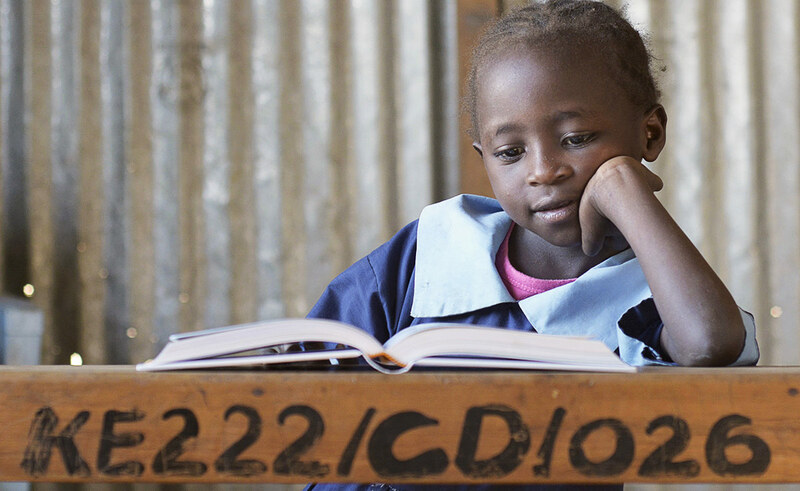 Receiving a letter or card from the sponsor reinforces their feeling of being loved. The words written and the message they bear is a source of encouragement. While it’s delightful for children to receive communication from their sponsors, some don’t and often wonder why. We encourage them to keep communicating but they find it very difficult when the sponsor is quiet. Thank you again for your friendship and support. We have a saying in Africa that it takes a village to raise a child. Our child-raising village is incomplete without you. Visit the children when you can, send a letter or some form of communication to encourage and cheer the children. Pray that each child will live to actualise their God-given potential. The mid-morning service at Chemichemi Community Church, situated in a slum community 16km northeast of Nairobi’s heart, is a lively affair that typically lasts about three hours, with Rev Dickson Munyasya presiding. In 2013, his love for children’s ministry led his church to partner with Compassion, and KE-222 Chemichemi Community Church Child Development Centre was established. 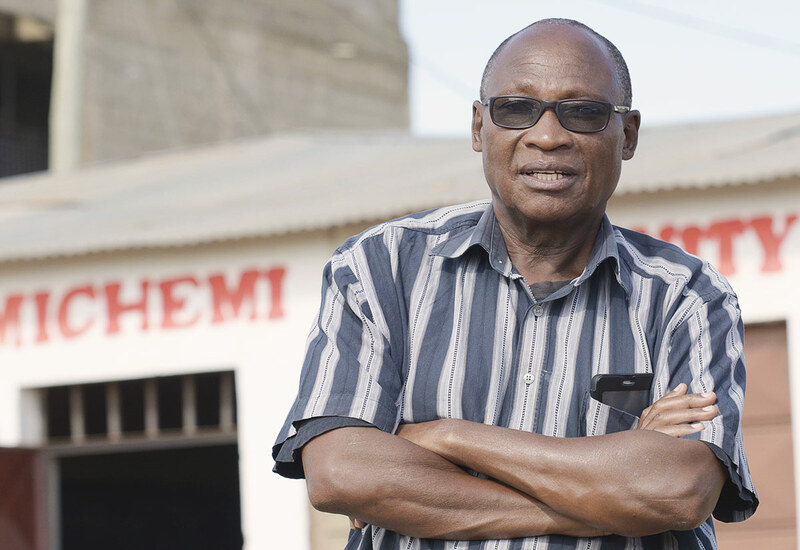 Despite the shocking surroundings, Munyasya’s work is thriving, his congregation growing, and he has high hopes and a vision for the future. Chemichemi Community Church now holds one Sunday service and hosts a Sunday school—the only schooling some of Chemichemi’s children will ever receive and a vibrant youth ministry. Pray that the nation of Kenya’s general election would proceed smoothly and peacefully; pray that sobriety would prevail and that everyone’s constitutional right would be upheld. Please pray that the new leaders and decision-makers will govern in the interests of the people, especially those who live in poverty and are vulnerable. Please pray for communities and families affected by particularly heavy rains in the coastal and northern regions of Kenya, (including Mombasa and its surrounds) which caused rivers to swell and flood wide areas. Please pray that local churches will be able to care for their communities and that families will be supported to get back on their feet. Please pray for Kache Thoya, an 80-year-old grandmother to Rajab Kesi, a sponsored child, as she grapples with life after the floods. Her daughter (Rajab’s mother) is in hospital after birth complications and she is the one left to care for the family amidst all the difficulties and deplorable living conditions. Pray for strength and support. Pray for protection of all the Compassion beneficiaries who are teenagers for God’s guidance and for the Holy Spirit’s guidance in all the decisions they make. Pray that they will find strength to study hard and overcome peer pressure. When her young daughter was raped by a neighbour, Mwende took her to the Compassion centre. There, she knew she would find the support—and justice—her daughter needed. We expect to choose our own husband or wife in Australia. But for many girls living in poverty, the choice is not theirs to make; sometimes, with deadly consequences. Sometimes getting a glass of water isn’t as simple as turning on a tap. For Eric in Kenya, the journey for water involved a 20-litre jerry can, a long walk and countless bouts of sickness.